This summer has had a slowed down, leisurely feel to it. This is contrasted with the hectic fall and spring, when I was trying to fit in working, taking classes, and planning a wedding from dusk 'til dawn. The past few months, on the other hand, have actually included free time! I've found myself sleeping until it's light outside, watching TV at night, reading for pleasure, going for walks after dinner, spending an entire weekend just "hanging out." I'm learning to put less pressure on myself when less pressure is needed, and it feels pretty good. I've had so much more time to cook and try new recipes, which has made me (and Ryan) so happy. One recipe I tried out on a particularly leisurely Tuesday was this baked honey lime ginger chicken. Andddd wow. This is some seriously flavorful chicken. I used big, skin-on chicken legs (which, of course, include both the thigh and the drumstick), a super tender and flavorful part of the bird. The chicken is covered with a combo of ginger (way more than seems reasonable), zesty lime, honey, Indian spices, and jalapeño. It's browned on the stove to lock in flavor, topped with a bit of sugar and more lime zest, then baked. The result is as awesome as it sounds. Plus, it's ready in under 40 minutes and requires very little hands-on time. So, if you're in the mood for a chicken dish that's different, comforting, and packed with flavor, you've gotta try this! I served the chicken with a starter course of that spicy golden gazpacho. QUITE a summer dinner. God I love this new free time! 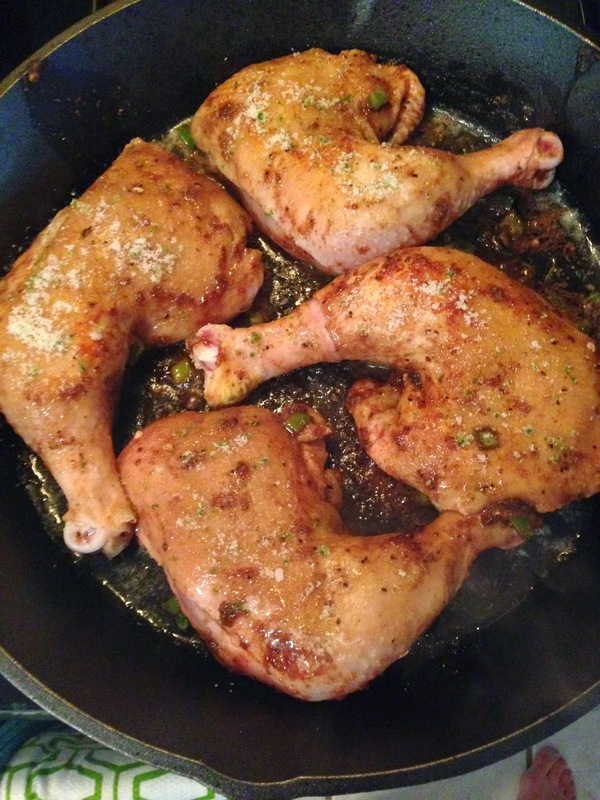 For this recipe, you need 4 big chicken legs with the skin on. First, preheat the oven to 400 degrees. Then, prepare your sauce: combine balsamic vinegar, honey, ginger, diced jalapeno, garam masala, coriander, cumin, cayenne, 2 tsp lime zest, and salt and pepper. Prick the chicken with a fork then toss and coat in the sauce. In another small bowl, combine 2 tsp sugar with 1 tsp lime zest. In a large, heavy-bottomed, oven-proof skillet, melt 2 tbsp butter and 2 tbsp olive oil over medium high heat. Let get hot and add chicken, skin side down. After about 5 minutes, flip so the skin side is up. Sprinkle with the sugar/lime zest mixture and cook for another minute or too. Then, transfer to the oven and cook for about 25 minutes, or until chicken is cooked through. When done, squeeze the juice of half a lime over the chicken and serve with extra lime wedges. -In a small bowl, whisk the vinegar, honey, ginger, jalapeño, garam masala, coriander, cumin, cayenne, salt, pepper, and 2 tsp of the lime zest. -Prick each chicken leg a couple of times with a fork. Toss with the sauce in a large bowl until coated. 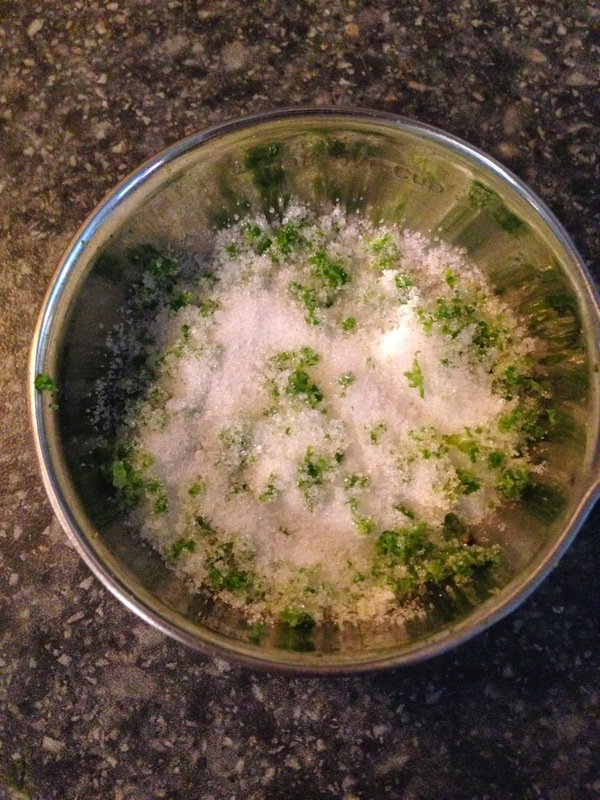 -In another small bowl, combine the sugar and remaining tsp of lime zest. -In a large, heavy-bottomed, oven-proof skillet, melt the butter and olive oil over medium high heat. 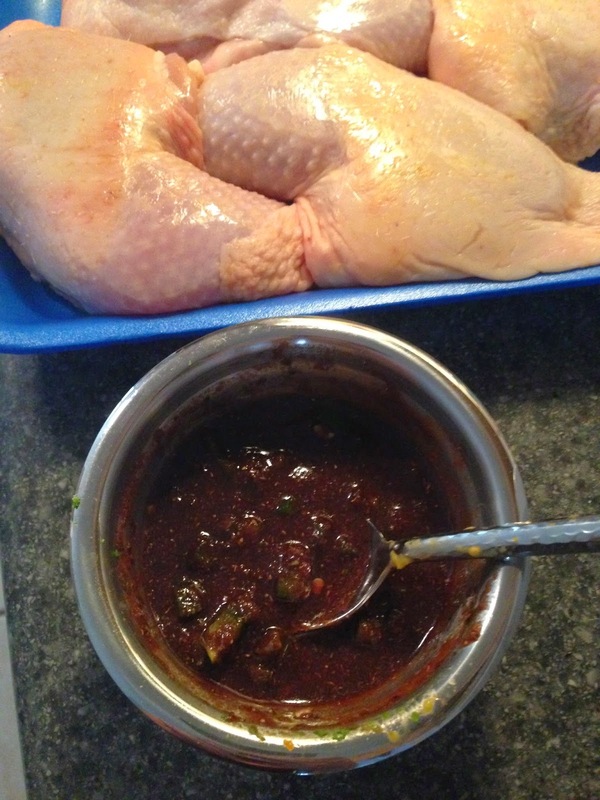 Let get hot, then add the chicken, skin side down. Cook for about 5 minutes, then flip. Sprinkle with the sugar/lime zest mixture and cook for another minute or two. Transfer pan to the oven and cook for about 25 minutes, or until the chicken is cooked through. 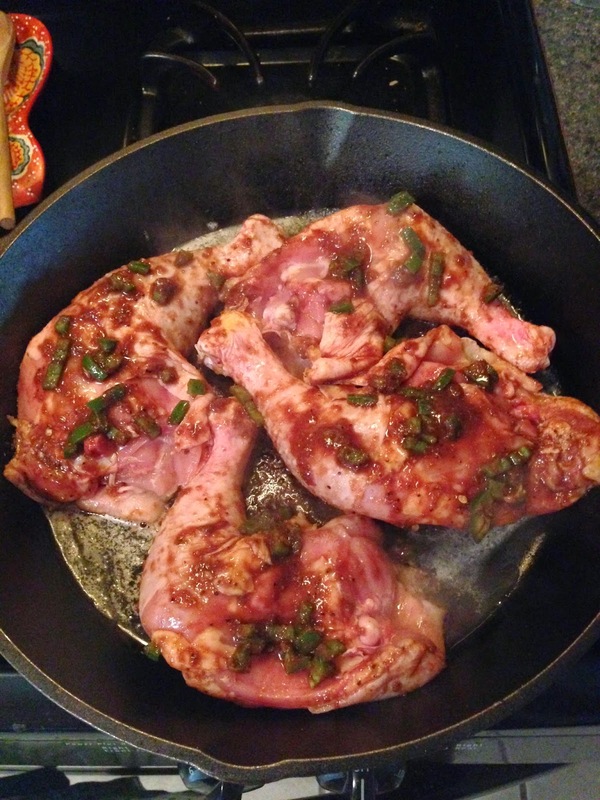 -When finished, squeeze the juice of half a lime overtop of the chicken. Serve with additional lime wedges.